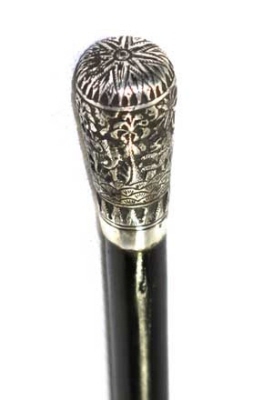 Smart slim line Indian silver pommel on black hardwood shaft. Silver free from breaks or dents. Shaft free from breaks, but hilds a minor wood expansion line to the top of the shaft.